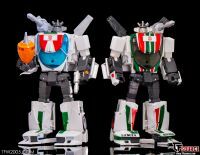 And now fellow Autobots, and especially Optimus Prime, it gives me great pleasure to present… the gallery for MP-20+ Wheeljack! 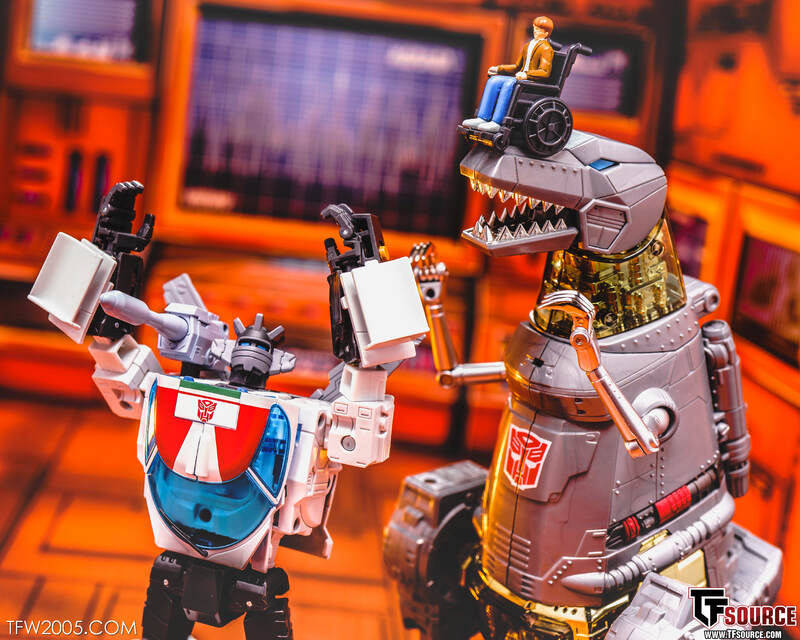 This is another of Takara-Tomy’s cartoon inspired repaints of previous Masterpiece releases. 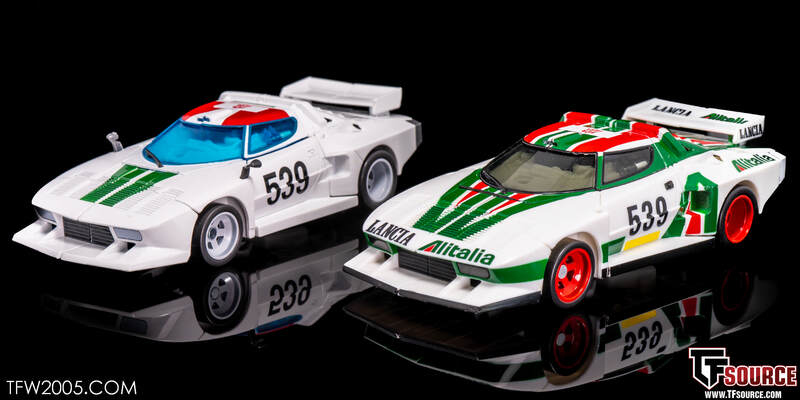 Wheeljack gets a sleek new deco to match his anime look, which is less busy than the Lancia racing style the toy was inspired by. The colors are bright, the windows’ blue pops. 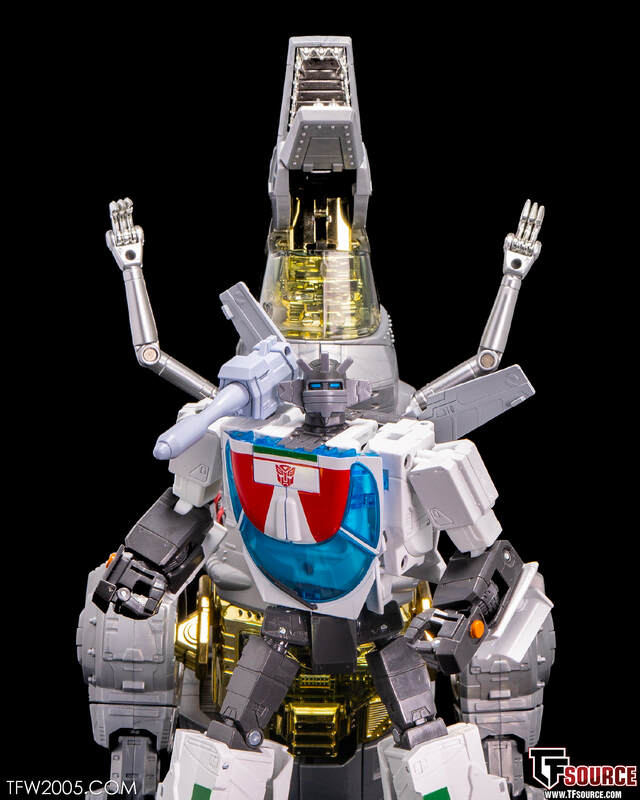 Structurally he is the same as his predecessor, but does come with an extra Immobilizer accessory to match the episode from G1. 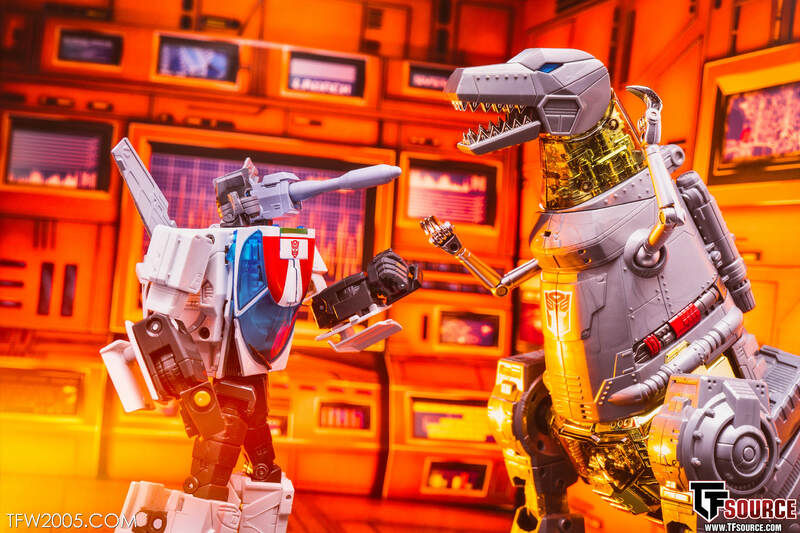 Bottom line, these anime repaints are to the collector’s taste. I personally dig them, and in this case prefer the 20+ robot mode and 20 vehicle mode. Both give off great throw back feels for the character. 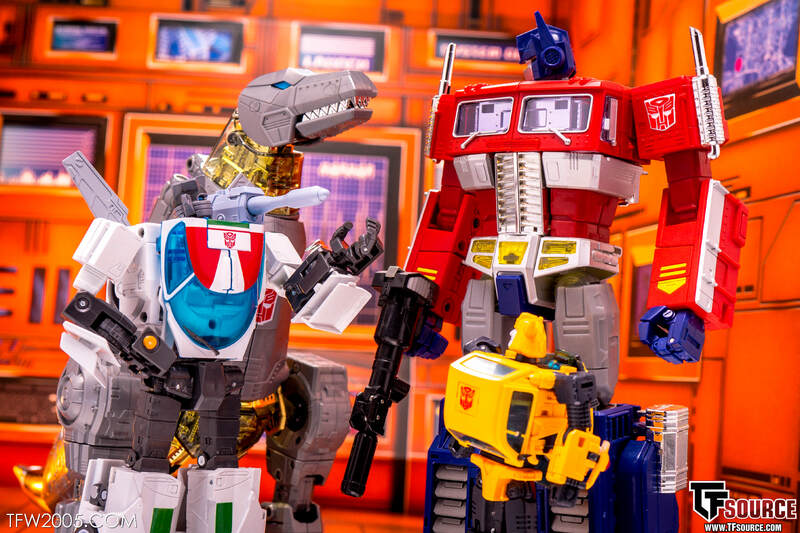 We’ve run him through a session, hit the link below to check out over 40 HD images after the break courtesy of TFSource! You can also check a select few shots after the break. 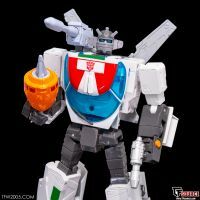 Although I sit on the "toy accuracy" side of the Masterpiece equation, I must admit, this guy looks amazing. 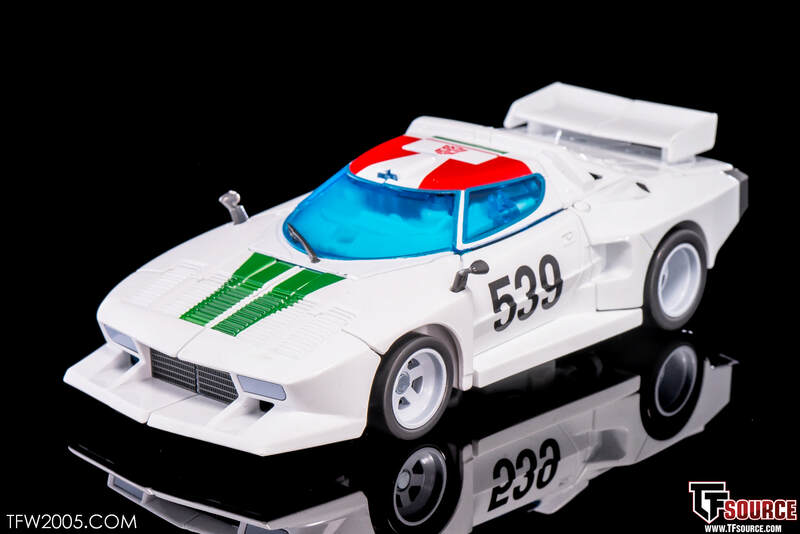 I still prefer the original MP 20's car mode, but the bot mode on "+" is outstanding. 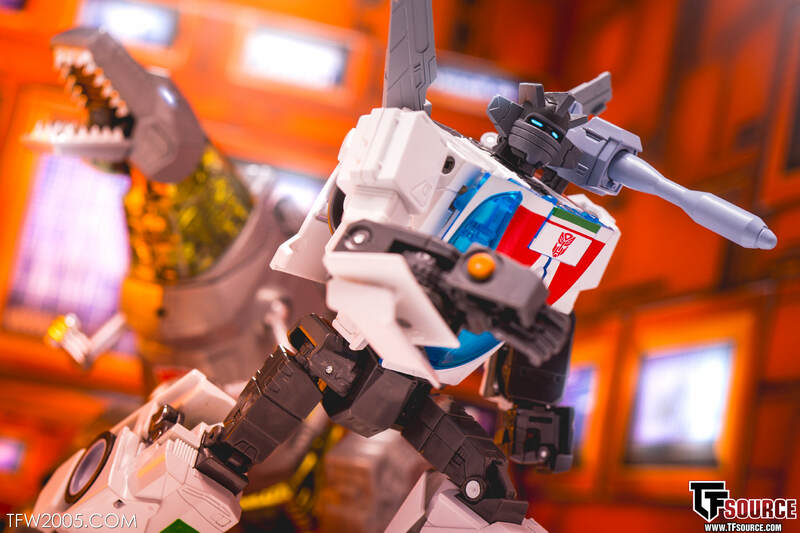 The + version of Prowl also makes me almost want to double dip on these guys. 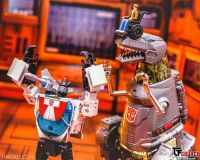 I'm also happy for all the toon officianados getting their version of these awesome toys. 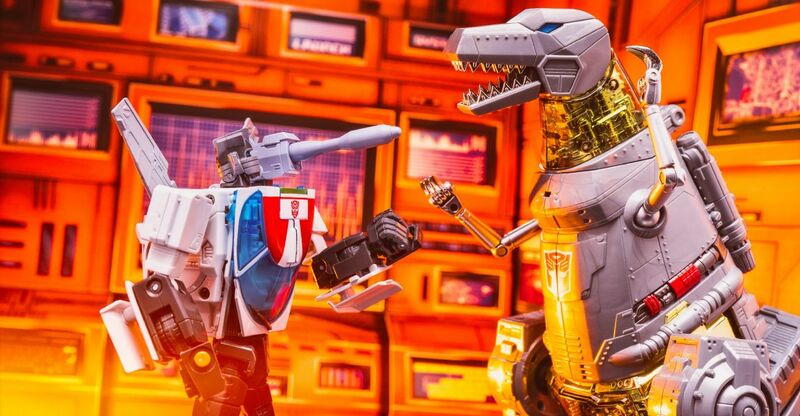 the bot mode looks superb now. 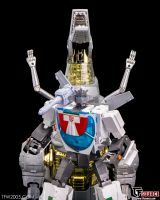 the alt mode looks like dook. think that means I stick with the og where there's a great alt mode and pretty good bot mode. 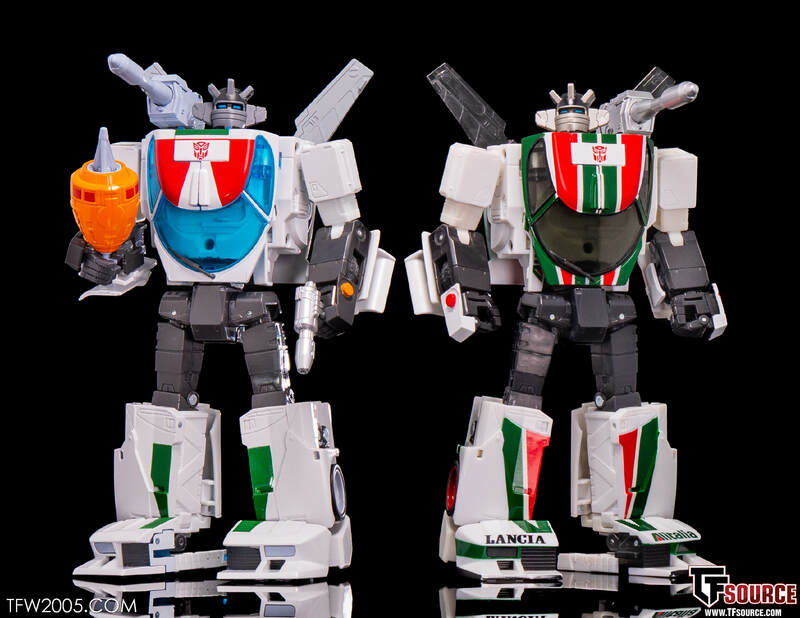 Whelp, looks like I’ll be double dipping with Wheeljack. Love “plus” Wheeljack so much that I immediately bought “plus” Prowl and Sideswipe and preordered Bluestreak. I like the originals too but the plus versions are a huge improvement imo. Still haven\'t hammered out which one I want. Settle down. Don't get your knickers in a knot. I'm pretty sure that some of the people saying there's less paint mean that there's fewer design elements/colors making it appear less busy or blander to them, not that there's literally less paint applied to the figure. 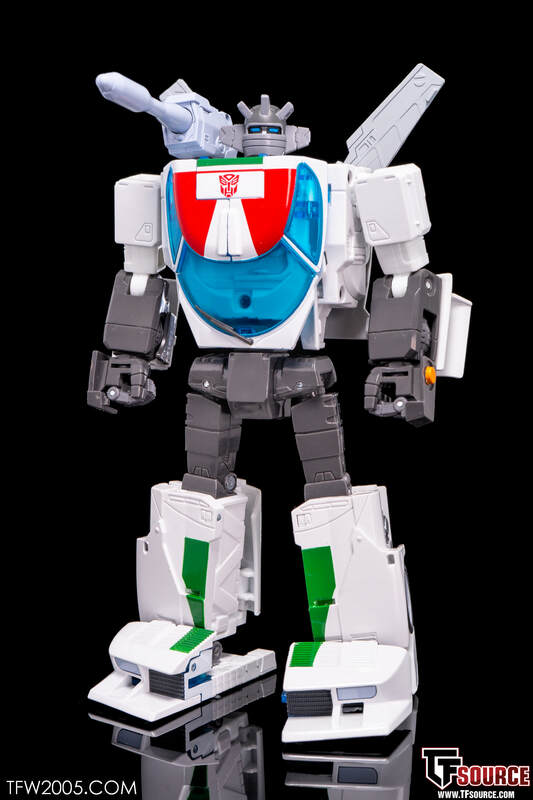 While I respect the original paint apps on the first Wheeljack, it was never for me personally as I always felt it distracted a bit from the overall design. I actually like this subtler design. I'd be tempted to grab him, but I'm good with my Exhaust. I'm definitely liking what I see, but no one design is going to please everyone. It's great to see these options. Would be nice to see a Slicer deco as another option, but I wont hold my breath. OP was right on this one though – + for bot, standard for altmode in my opinion.